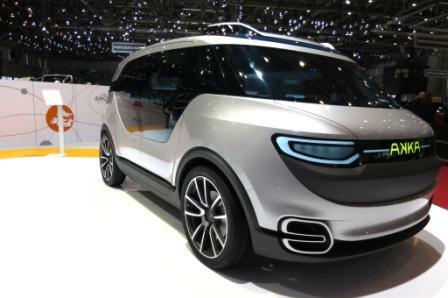 While Germany is known to be a nation in love with cars, this love affair has yet to extend to electric cars. The nation is the most fuel efficient in Europe but may fall off the pace in this regard if it continues to lag behind the rest of the continent in terms of zero emissions transport. The German Government is trying to bring in new initiatives to promote electric cars but since these ideas don’t involve a grant like in many European countries, it’s likely these ideas will be unsuccessful. In 2009, German Chancellor Angela Merkel set a target of having 1 million EVs on the nation’s roads by 2020 but this target has been dismissed as ludicrous by an expert who works for the CAR Center for Automotive Research. Ferdinand Dudenhoeffer, who performs his research at Duisburg-Essen University, says there is no chance of the government getting near their target. Indeed, he believes Merkel might as well have pledged to put 100,000 cars on the moon by 2020. This comes after news that there were less than 17,000 electric cars on German roads in the first half of 2014. Yet Transport Minister Alexander Dobrindt believes they can meet the target despite overwhelming evidence to the contrary. Presently, France has 1 electric car for every 1,000 standard vehicles on its roads whereas Germany has 1 EV for every 2,500 standard vehicles. While there are initiatives, none of them appear to be working. For example, those who drive electric cars are exempt from road tax for 10 years while new proposed legislation aims to allow EV drivers to use bus lanes, park for free and park close to new charging stations to be developed for electric cars. Yet these initiatives are unlikely to be adopted as they should because municipal authorities are in charge of implementing them and local councils do not agree with them. For example, allowing electric cars to use bus lanes will slow down traffic and free parking also seems unfair to other drivers. Matthias Wissmann of the VDA Auto Industry Association says the measures are nowhere near enough and must be followed up with tax breaks to be successful. An advisory panel to the government called the National Platform for Electromobility, wants tax cuts for companies that use electric cars in their fleets. Yet the government has completely ruled out providing any kind of financial aid including possible bonuses for those driving EVs. A transport spokeswoman for the opposition Greens called Valerie Wilms believes the government doesn’t want to bring in initiatives because it would favour foreign carmakers such as France’s Renault or America’s Tesla. She believes electromobility will suffer if the government does not provide incentives. German carmakers such as BMW, Daimler and Volkswagen have all launched versions of electric cars but BMW believes the market is slow because of a lack of charging stations among other things. A BMW spokesperson said it was a case of ‘the chicken and the egg’ because they need more charging stations to justify creating more vehicles. 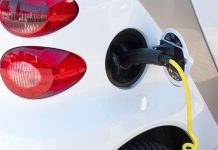 According to a post published by Totally Electric Cars, France has acted to improve its electric car industry by approving plans to increase its number of charging stations. By the end of the year, there will be 16,000 charging stations in France while Germany, a larger country, has just 4,400. Dudenhoeffer believes long recharging time, low level of autonomy and high cost are the three main factors holding back the sale of electric cars in Germany. He said the government’s latest initiatives do nothing to attack any of these problems.